I am finally back with a quick tips video-using the Stamp-a-ma-jig! This is a handy dandy tool that everyone needs in their “stamping tool box.” The problem is–it is retiring! If you don’t already have a Stamp-a-ma-jig, make sure you order one ASAP before they are sold out. 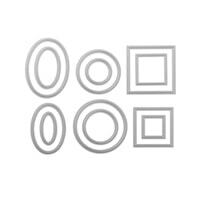 This tool helps you place images where you want them quickly and easily. It is perfect for when you are just making “one” of a card and don’t want to mess with getting the Stamparatus out. Here is the card that I featured in the video. But make sure you watch the video, I showed 7 other cards all with the HIGH TIDE STAMP SET! I hope you enjoyed this Stamping Made Simple Quick Tip Video! If you have any questions, or if I can help you with anything, just click below and leave me a comment! I love to hear from my readers! 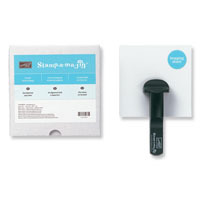 Make sure to order your stamp-a-ma-jig before it is gone forever. For just $12 this is the best stamping tool to always keep handy. Also shown are the main products used on this card. Just click any picture to go to the online store and place your order. 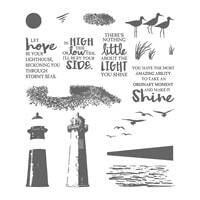 I love this card and was wondering if you could tell me what color inks you used on it besides the red and black for lighthouse. Also did you post pictures of the other lighthouse cards you showed on YouTube? I don’t think the others have ever been posted as of this time-sorry. Thank You! I appreciate you getting back to me.